The recent European ballots decreed three results in Cyprus: a high level of abstention, in line with the trends recorded in other EU countries; confirmation of the usual voting patterns, assigning conservative DISY (Democratic Gathering) and left-wing Progressive Party of Workers (AKEL) two seats each, as well as one seat each to DIKO and EDEK-Greens; finally, the lack of protest vote despite the economic crisis faced by the island. In front of the high abstention announced by polls shortly before elections, the main Greek-Cypriots parties had tried to convince people to vote. In less than two weeks before the elections, AKEL general secretary Andros Kyprianou said that only by voting citizens would be able to send a clear message to Brussels and Frankfurt. Indifference and abstention, on the contrary, could only consolidate the status quo and strengthen the capacity of other European leaders to take decisions on behalf of the Republic of Cyprus. At the same time, Kyprianou accused DISY of letting Cyprus become a "guinea pig" by accepting the compulsory levy from uninsured bank accounts and other measures agreed with the Troika in March last year. Beyond the mobilisation strategies by AKEL and other political forces, the latest Eurobarometer survey, conducted in March on behalf of the European Commission, offered unpromising data for Greek-Cypriots parties. Only 7% of respondents said they had confidence in political parties; 15% expressed confidence in the parliament and 22% in the government of the Republic of Cyprus. The ballots have largely confirmed the predictions. The 56% abstention rate is a record figure for the Republic of Cyprus, but loses at least part of its uniqueness in the light of the Euroscepticism observed in other EU countries. In detail the elections , while not changing the consolidated balance of power between the first four Greek-Cypriots parties, reported a decline in consensus for three of them. The DISY (Democratic Gathering) got 37.75 % of the vote and is the only growing party (+1.8%); the AKEL (Progressive Party of Workers), relative majority until 2011 and considered as the main architect of the economic collapse, got 26.98% (-8.4%); the DIKO (Democratic Party), 10.83% (-1.5%); finally, the alliance between EDEK (Social Democrats Movement) and the Greens did not exceed 7.68% (-3.8%). Although Greek Cypriots had faced a deep economic crisis and the side effects of the troika "bailout" for over a year, electoral results did not report a significant disaffection with traditional parties, that share the responsibilities of economic catastrophe, nor the parallel rise of alternative and radical forces, as happened in other EU member states. The Alliance of citizens, led by former Minister Lillikas, has consistently criticized the Memorandum imposed by the troika, but only got 6.78% of the vote, not enough to elect a representative in the EP. Even more meagre the results of two other anti-system forces placed at the antipodes: the 2.69% obtained by ELAM (National Popular Front) shows a significant improvement over 2009, but still far from the numbers of the Greek analogous Golden Dawn; Drasy-Eylem (Action), the first bi-communal, independent list committed to gender equality, got the 0.86%. The traditional political balance, therefore, resists despite the unemployment rate – which reached an unprecedented peak (17.4%) in March – and the social costs of austerity policies. Such stability was in a sense anticipated by the Eurobarometer Indexes. Only 26% of respondents believe that the country's economy can improve over the next twelve months, while 43% believe the opposite. As if to say, the situation remains critical, but discouragement and discontent seem to be declining. If traditional electoral patterns were confirmed, the bureaucratic machine registered a significant obstacle, generating opposing interpretations. In the days immediately prior to the vote, many Turkish-Cypriot citizens noted their absence from the electoral register, made public by Greek-Cypriot authorities on Wednesday, May 21st. Among the first to denounce the inadequacy of the lists was Şener Levent, one of the independent candidates, who reported the absence from the lists of his son and other Turkish-Cypriots entitled to vote, requesting the postponement of the elections. The background of the accident is the amendment of the electoral law, approved in March. Greek Cypriot authorities presented such a change as a measure to encourage the participation of Turkish-Cypriot citizens in the upcoming elections. If in the past it was necessary to register before the vote, the amendment automatically guaranteed this right to all Turkish Cypriots of age, in possession of an identity document of the Republic of Cyprus, and residents in the "area not under the effective control" of Greek Cypriot authorities – i.e. the northern part of the island. In contrast, the Turkish Cypriots who meet the first two conditions (age and paper), but reside in the southern part of Cyprus, are required to enter their data into the appropriate registers to vote, like Greek Cypriot citizens and other residents who fulfil the first two conditions. Faced with protests and appeals – to the Directorate for electoral services, the Ministry of the Interior, the office of EU representation in Cyprus – piling up since last Thursday, Demetris Demetriou, head of electoral services of the Ministry of the Interior, said that the law is "crystal clear" and the data of Turkish Cypriot citizens were transferred in the electoral registers from the civil registers pertaining to the issuance of passports, identity cards, and other documents of the Republic of Cyprus. Demetriou added that some Turkish Cypriot citizens provided a residence address in the southern part of the island, others in the north, and some none – thereby implying citizens' carelessness might be blamed. It is equally possible, however, that the absence of about 30,000 Turkish Cypriots from the electoral register - which contained 58,637 names against a planned total of about 90,000 – is a consequence of the incompetence or negligence of ministry employees, who may have entered in the database the places of birth, instead of the residence addresses, of thousands of Turkish Cypriots. 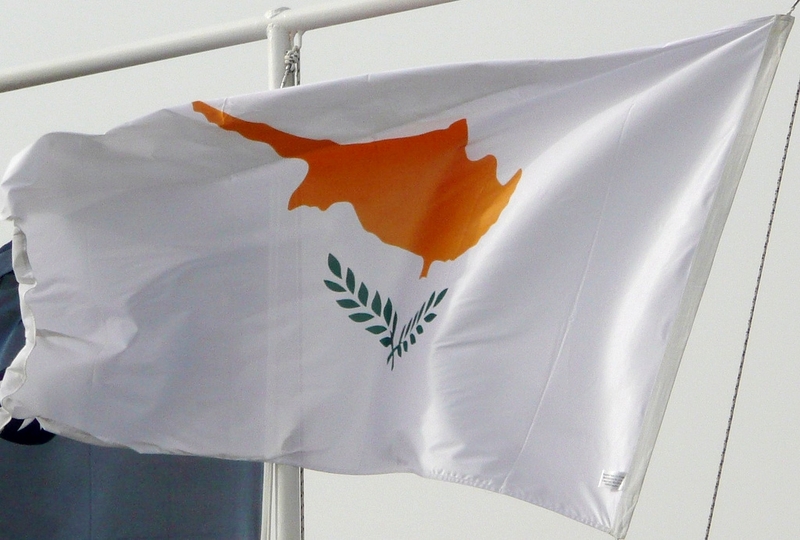 In such a case, a hypothetical Turkish Cypriot citizen of legal age, in possession of an identity document of the Republic of Cyprus and resident in the northern part of the island, but born in the south, would not be included in the electoral register. According to an alternative interpretation, suggested by politicians and opinion leaders as well as Turkish Cypriot potential voters and candidates, the episode would not be yet another example of the inefficiency of the local bureaucracy, but an accident that hampered the participation of the Turkish Cypriot community in the democratic life of the Republic of Cyprus – a scandal that requires investigation. Many have commented the words of the director of electoral services by noting that, in order to obtain an identity card or a passport, one must provide an address. Therefore, errors and bureaucratic negligence apart, it would be unlikely for a Turkish Cypriot citizen to be absent from the electoral register for failing to indicate their residence in civil registers. "Conspiracy theories" are not uncommon in Cyprus' political scene, but in this case the plot would be inconsistent with the amendment of the electoral law, which aims to facilitate the participation of Turkish Cypriots. Whatever the causes, this bureaucratic accident will undoubtedly be a further obstacle to the creation of trust between the two communities. If those who wish to participate in the democratic life of a municipality are not supported in their intent, it seems unlikely that authorities will be willing and able to help the Greek Cypriot and Turkish majorities to believe in building a shared future.